Year after year many thousands of adults and children perish in house fires, with most dying from inhaling toxic smoke and deadly fumes. 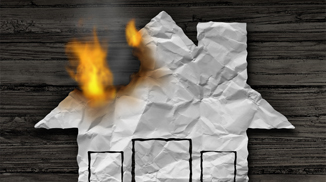 Sadly, most household fires are accidental and preventable. In most cases where people have had house fires they often say “I never thought that would happen to me” With complacency being a major contributor to house fires. The sad fact is that when it comes to safety around our homes we seem to think differently to the work place, perhaps it is because safety at home is not policed like safety at work, or that we don’t seem to identify and mitigate risk like we would at work. When I train workers in fire safety I always start by asking the question as to why they are present that day. Most have some smartarse answer like to the boss made me come, a few say to keep the place safe and on vary rare occasions one or two participants will say to get paid. When I ask why they need to get paid they always say pay the mortgage, rent and look after the family. So I ask them all at this stage if this is what is important and the main reason why they are here today in front of me, why not take some of the skilled learned today home. Conduct a fire safety audit on your home. Here are some very simple tips that could save your family and home from fire. Smoke alarms: do you have smoke alarms installed, are they, have you tested them lately and do they work? Escape Plan: have you assessed how you might evacuate, created a plan and practised it? Locked doors: Don’t lock doors internally and hide the key. Fire Extinguisher & Blankets: do you have this vital lifesaving equipment, is it installed & working? Is your fire safety equipment in good working order? Cooking: Always keep an eye on cooking and never get distracted. Think Fuel: fuel is anything that can burn, such as paper, material, flammable liquids, furnishings etc. Think ignition: Fuel will become a hazard when it comes into contact with something capable of creating enough heat to ignite it, such as matched, candles, cooking appliance, shed machinery, lighters and so on.